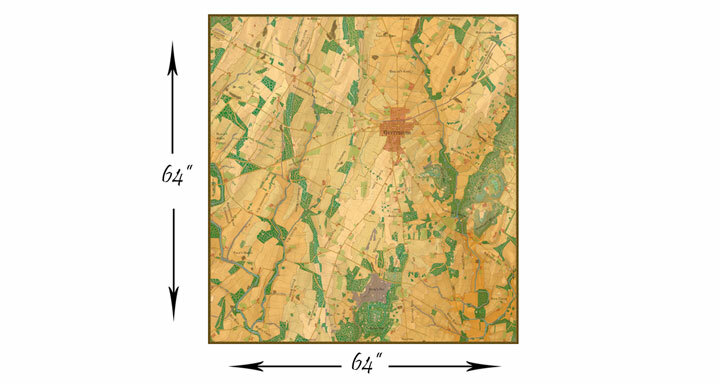 The Map of Gettysburg is an actual topographical map of the battlefield as surveyed by the Army Corps of Engineers. 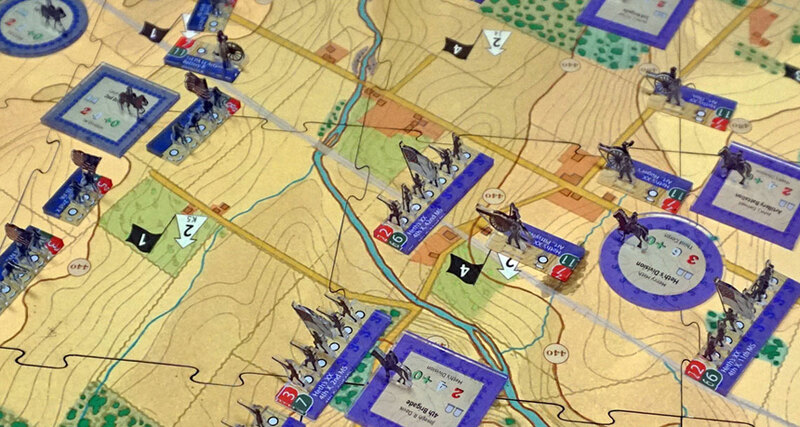 There are 4 key features of the map; March Circles, Pikes, Areas, and Edges. 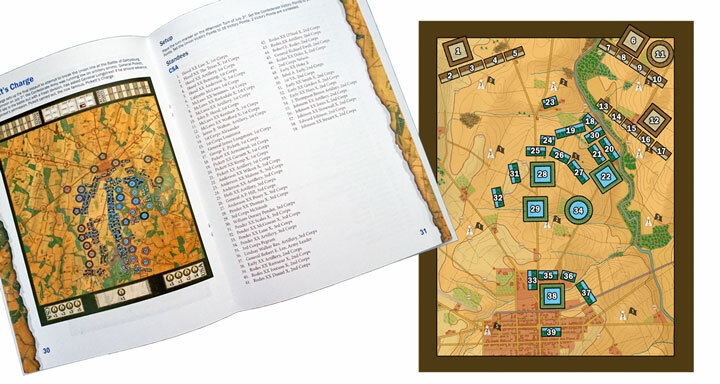 The Map board is hand painted and measures 64"x 64” when fully assembled, although most games may be played on smaller sections. 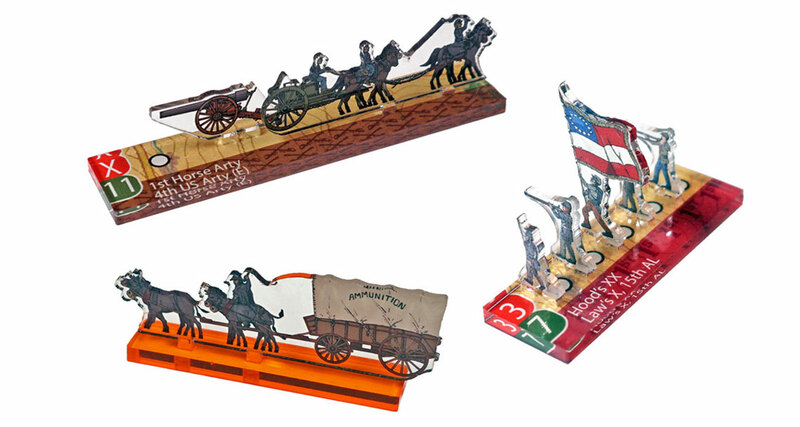 Brigade Command comes with 900+ laser cut acrylic stands representing the over 175,000 soldiers who fought in the Battle of Gettysburg. 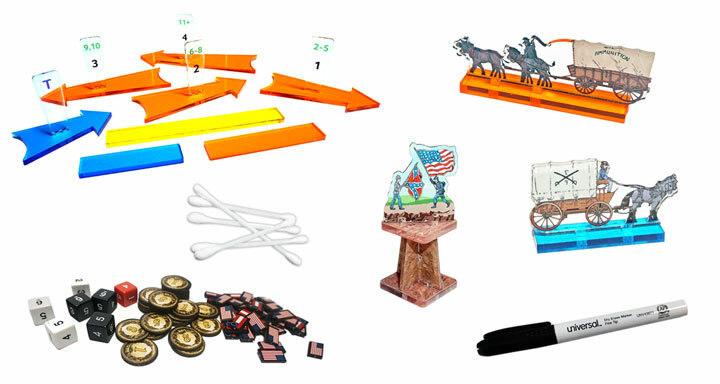 The stands represent soldiers, cavalry, artillery, and leaders. 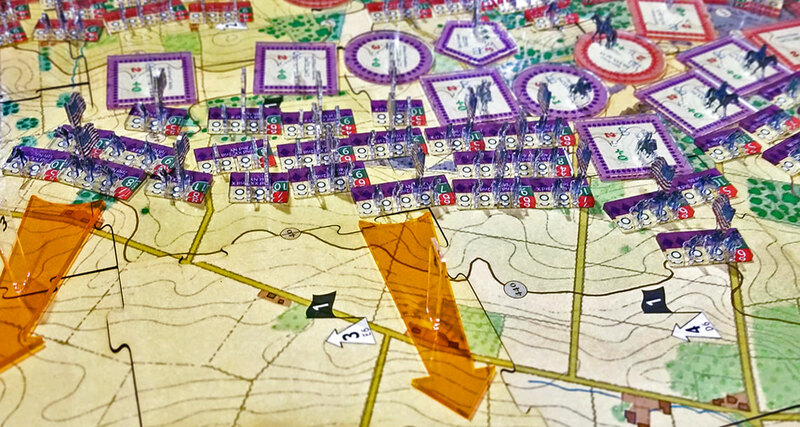 Leaders are at the center of the action when designated for command during the turn. 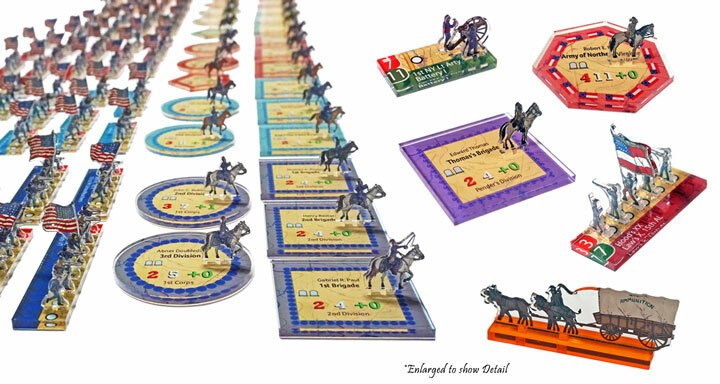 An activated leader allows a player to replenish cards and activate troops using action points. 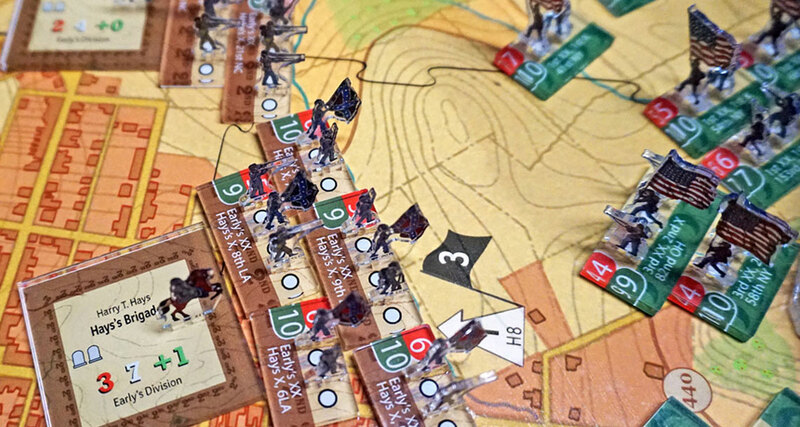 Each artillery standee equals 4 to 6 guns, and each infantry or dismounted cavalry standee represents ~100 soldiers. 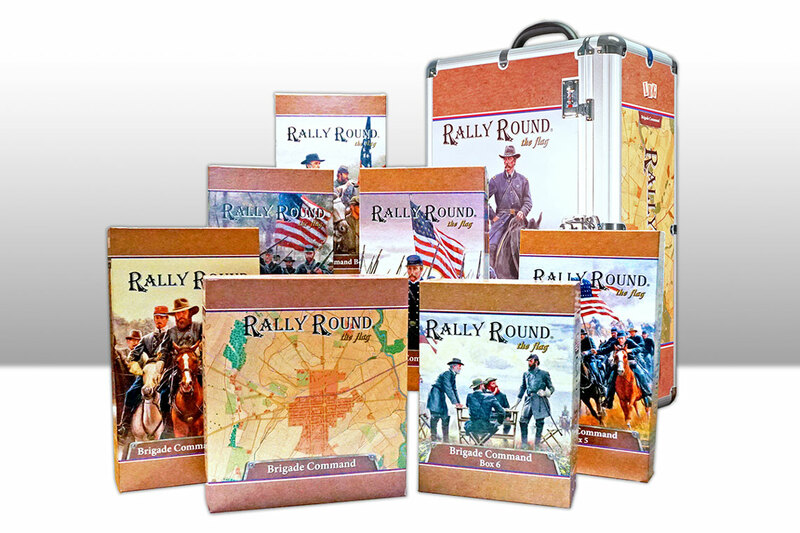 Rally Round the Flag® uses cards to affect the operational pace of play and influence combat during a battle. 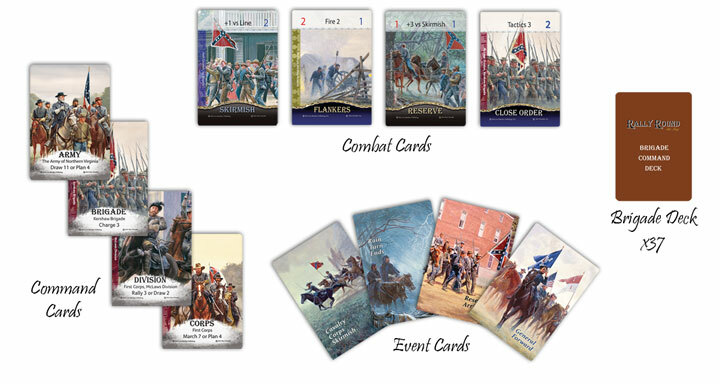 While drawing and playing Command and Battle cards, unexpected Events may occur that the players may exploit or mitigate as the situation demands. 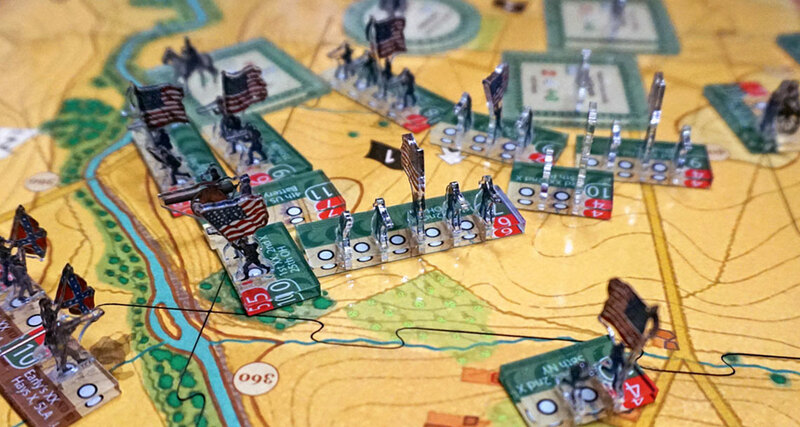 Rally Round the Flag® Brigade Command includes 20 scenarios representing key actions during the Battle of Gettysburg. 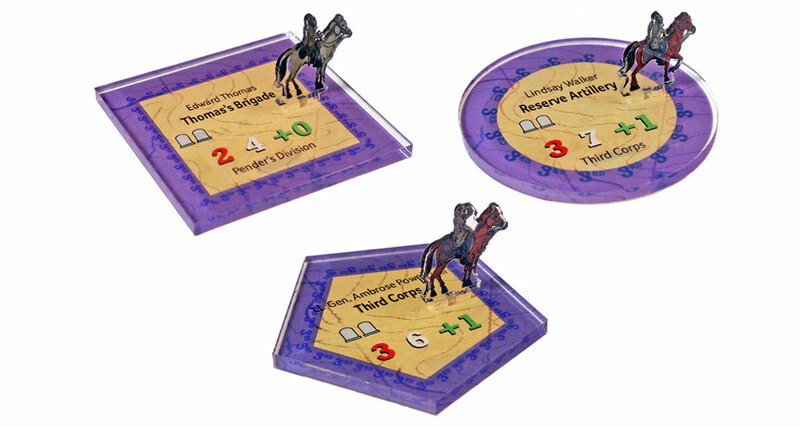 The Brigade Command game is available as a Special Order item. Due to the size and complexity of the product, it is produced on a limited production run through our factory. 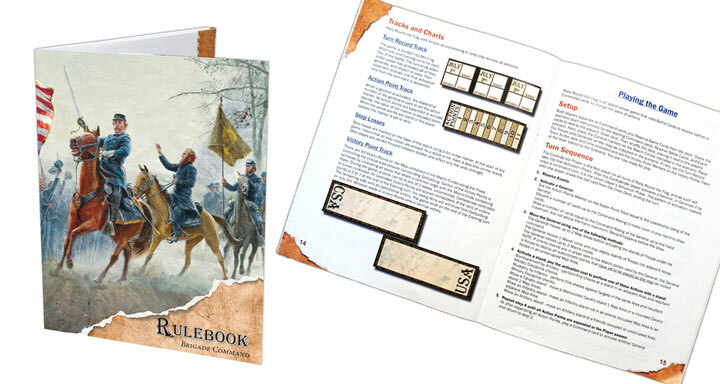 If you would like to order YOUR copy, please contact us at sales@lostbattalion.com and one of our customer service specialists will contact you directly with ordering information and expected time of availability. Our customer service specialist will give you all the details.